Nothing is worst than trying to find something in your diaper bag and not being able to see it. When I go out I take an extra sleeper, blanket 3-4 cloths, 2 bottles, lunch/dinner and wipes. In the summer that list is extended to hats, sunscreen….way too much stuff. 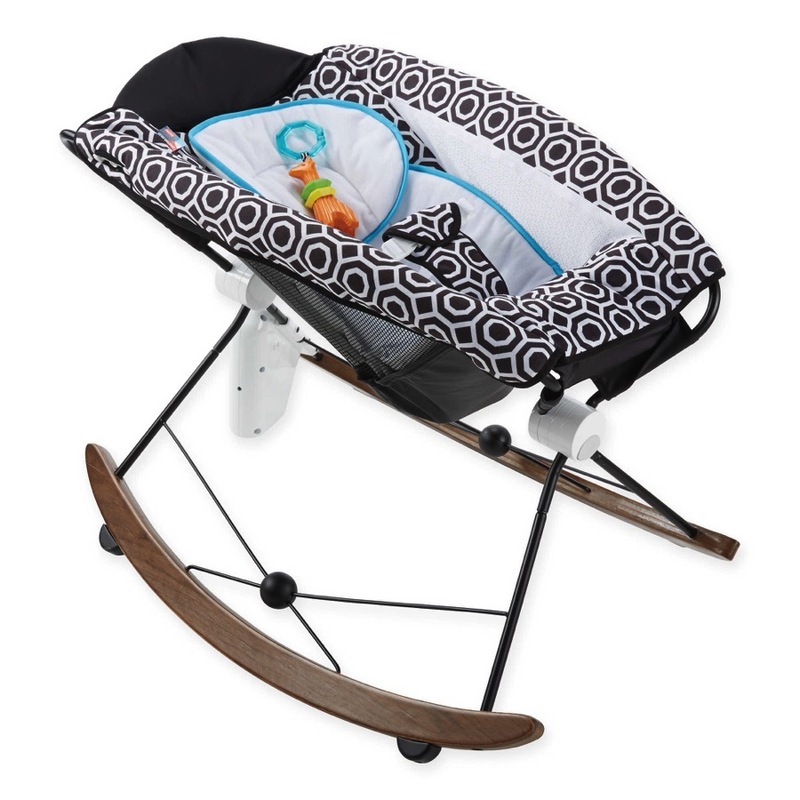 These diaper bag organizers would be perfect for me and probably most moms out there. Clean outfits, dirty outfits, goodies and extras – keep them all handy with this nifty set of zip-up bags! 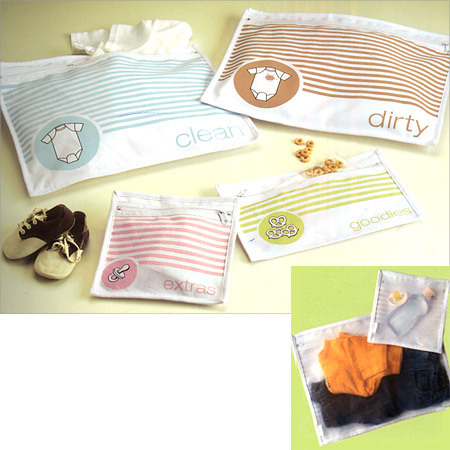 Perfect for keeping your diaper bag organized, these pouches are clearly marked to make your life a lot simpler. Plus, the see-through mesh backing lets you instantly see what you remembered to pack without having to dig. Makes a great shower gift for on-the-go parents! The largest pouches, marked ‘clean’ and ‘dirty,’ measure 13.75 inches by 11 inches; the ‘goodies’ pouch measures 10 inches by 6.25 inches; and the ‘extras’ pouch measures 7 inches by 7 inches. Available at babystyle.com for $20 U.S.
You Tube "Why Moms Don’t Do Yoga"